A range that pampers and delights! 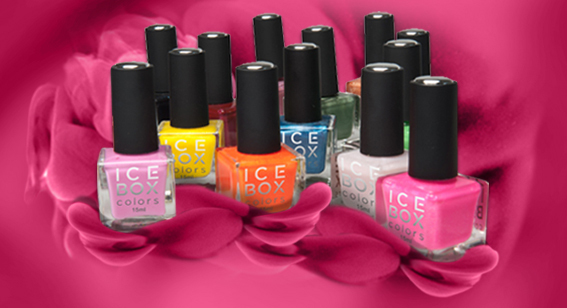 The ICE BOX colors Nail Lustre range is proudly developed and manufactured in South Africa to the highest international quality and safety standards. This ice-hot Nail Lustre range is setting a benchmark in the industry by not only being “3 Free”, i.e. steering clear of potentially harmful ingredients, but is also keeping the superior quality promise of the products veritably being quick-drying, long-lasting and chip-resistant. The IBC Nail Lustres include THE ESSENTIALS = TREATMENT RANGE, such as Treatment Base Coat, Cuticle Treat, Top-coats-with-a-difference = Silver or Gold Shimmer!! and Prompt Dry Liquid. 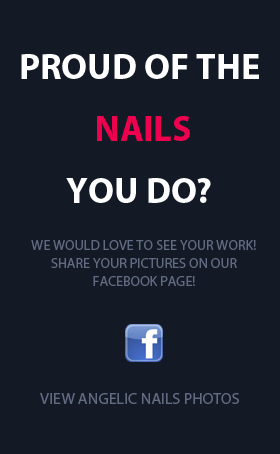 The Nail Booster is a nail strengthener that revives, rejuvenates and strengthens natural nails upon extended use.